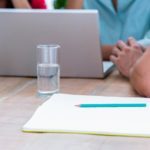 If you feel like you can’t keep your head above water with your payday loan debt, you’re continuously rolling over loans, and can’t seem to get out of debt, there may be a few expenses that are holding you back. If you’re using a budget and tracking your expenses, you may already know what those things are. However, chances are, if you’re reading this, you’re not using a budget and you’re not sure why you can’t seem to break out of the debt cycle. In order to find out if these expenses are keeping you stuck in debt, you first must know how much you’re spending on each. The easiest way to find that out is by creating a budget and tracking your expenses for an entire month. If you’re new budgeting, check out this guide for creating your first budget. Budgeting really isn’t as hard as you may think it is. With the average credit card carrying a balance of $7,494, monthly credit card payments aren’t cheap. Between trying to keep up with your payday loan debt and keep up with the essentials, like rent and food, putting several hundreds dollars towards your credit card each month can feel like just the thing that’s going to sink your financial ship. If your monthly credit payment is making it hard to pay the rest of your bills, it’s time to take a good look at what it is you’re buying with your credit card and why you’re buying it. Is it an essential? Or are you using your credit card to buy the clothes you’d like, but don’t need, and to cover the bill at the restaurant? Reevaluate your credit card spending. Take a good look at what it is that you’re using it for. Are those purchases necessary? If not, is the additional monthly payment worth the stress that it’s causing by keeping you stuck in payday loan debt? You don’t have to go without heat during the winter or sweat yourself out of your own house during the heat of the summer, but cutting back on your electricity use could save you a ton of money. Most people don’t realize how much they’re overspending on electricity, and that doesn’t just include your AC and heat. Your electricity bill could be higher than it should be due to insufficient insulation, overusing appliances like your dishwasher, washer/dryer, etc., and just not knowing how to cut back. Doing a quick google search brings up dozens of articles on how to cut back on your electricity bill. We did a little research and found one of the best. This article shares some great tips for cutting back on your air conditioning, heat, washer, dryer, dishwasher, and more. They’re easy shifts to make that can make a huge difference in your electricity bill. 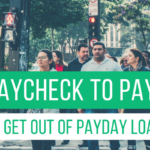 A car payment isn’t the only reason you may be stuck in payday loan debt, although it could be if you’re taking out payday loans to help cover it. A car payment becomes a financial problem when it becomes a financial burden. If your car payment is causing you to have trouble paying rent or paying the bills, then it could also be part of the reason you’re stuck in payday loan debt. It’s important to note that the cost of a car is much more than the car payment. It includes regular upkeep, like oil changes, and when you’re not keeping up with the regular maintenance, things can go wrong and lead to even bigger expenses. Planning ahead and making sure you’re able to cover the cost of your car payment plus the maintenance is important. If not, maybe it’s time to consider trading in for a cheaper ride. Between grabbing food in the drive-thru on the way home after a long day at work, to eating out nearly every meal during the weekend, to overspending on groceries, the money you’re spending on food could be a big part of your financial stress. Eating out, whether fast food or sitting down at a restaurant, is expensive. It costs far more than preparing ahead of time and eating at home. It may be the easier option when you’re busy and have little time to cook breakfast or dinner, but it’s definitely not the cheapest. Overspending on groceries can become a problem, as well, though, if you’re not planning ahead. Impulse buying is a very real thing, and so is spending more when you go to the grocery store hungry. The key to spending less, is being prepared. Plan ahead for your meals for the week. Plan before you go to the grocery store. Decide when and how much you’ll spend eating out. Cutting back on your food spending could save you several hundred dollars a month that you’re spending now without even noticing. These are several unexpected expenses that could be keeping you stuck in payday loan debt without even realizing it. It’s easy to overspend on these categories without being aware of it. So, the first step is getting organized. If you’re dealing with multiple monthly payments and debt that feels overwhelming and you’re ready to make a shift, start with a budget. Look at your expenses, start tracking them monthly, and find ways to cut back your spending. 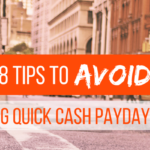 Overspending here and there may not seem like a lot, but it can add up to several hundred dollars a month, which could be the cause of you staying stuck in payday loan debt. 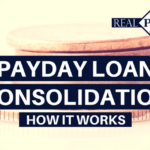 Our team specializes in payday loan consolidation. If you’re dealing with multiple lenders and multiple monthly payments, we can help. Call us today and find out how we can consolidate your loans into one, easy-to-pay monthly payment. Payday loan consolidation can make getting out of debt more manageable and less stressful. Find out how!